Let everyone know who you root for in this Cleveland Indians White Raglan Primary Logo Short Sleeve Short Sleeve Plus! This Cleveland Indians Short Sleeve Tee features a screen print team name and primary logo on center chest. 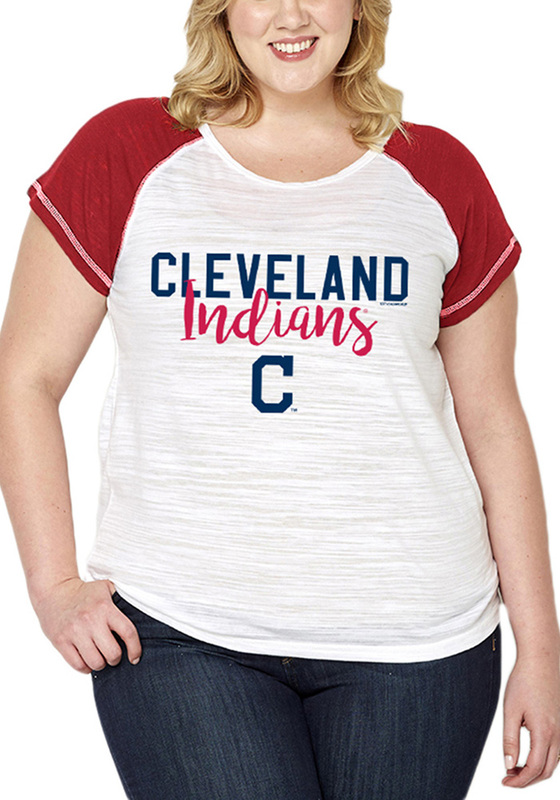 This poly-blend short sleeve raglan has a crew neckline and contrasting team color sleeves for a sporty yet feminine look while cheering on your favorite team.